Pebble had recently released a software update to its Time line-up of smartwatches for voice replies, wherein the version 3.7 adds the skill of some Pebble Time owners of replying to text message through voice replies directly from the watch. Some Pebble users who link their smartwatch to an iPhone would now be capable of replying to text messages directly through their devices as voice replies. 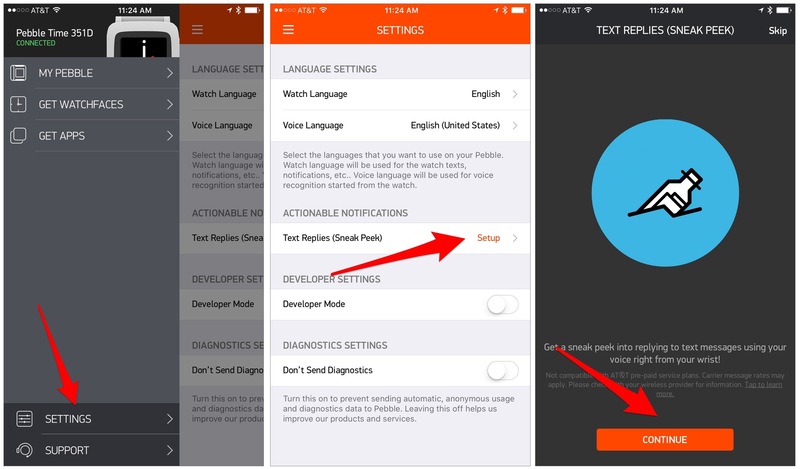 For iOS voice replies on Pebble’s support page, users could also refer the FAQ page for additional information as well as some more warnings. To use voice replies with iPhone and Pebble Time, to begin with one needs to install the new firmware for the Pebble Time watch. You need to be prompted to install it the next time one tends to open the Pebble Time app. But one could check for update in Support by tapping on `Update Your Pebble’. After the firmware update is done, you could slide out the menu drawer, tapping on Settings. On Tapping on Text Replies, select `Continue’. 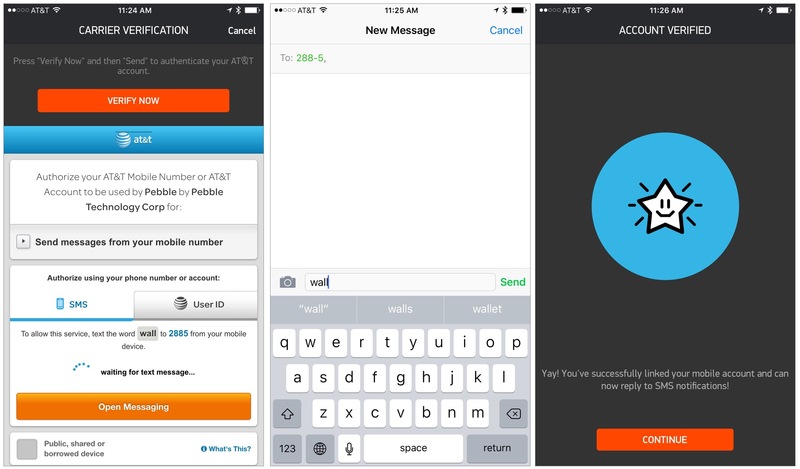 Message window is displayed; with text field and recipient filled already you could tap `send’. Few seconds thereafter, the Pebble Time app verifies the account and presents the confirmation screen. To proceed, when the user receives a new message either an iMessage or text message on the Pebble Time, you could press the middle button in order to bring up a menu and then select `reply’, followed by `voice or templates’. If the user selects the option for voice, a microphone icon tends to be displayed waiting to dictate a reply.On the other hand, the template option tends to display a series of set text replies making it easy to choose from these options for a reply. Though Pebble has mentioned that they were working on adding features to the other carrier, they did not provide any timetable on when users could expect the features to expand.